As some of you might remember, prior to MWC, there were numerous hints that Sony will release a total of three new flagships at the show. Obviously, that didn't come to pass and eager fans are still an Xperia XZ Pro or perhaps XZ2 Pro short. It was supposed to be the ultimate flagship offer, complete with a 5.7-inch OLED touchscreen of 4K resolution and a 'tall' 18:9 aspect ratio. Nothing is certain quite yet, but clues have been amassing lately that the Pro's release is nearing. Starting with a trio of FCC reports, with the following IDs: PY7-24118Q, PY7-21831A and PY7-00718V. These can be found on FCC's website and looking at the included device dimensions, the PY7-21831A is clearly describing the Xperia XZ2, while the PY7-24118Q - the XZ2 Compact. That leaves the PY7-00718V and reading through the documents on record, tells a rather interesting story. 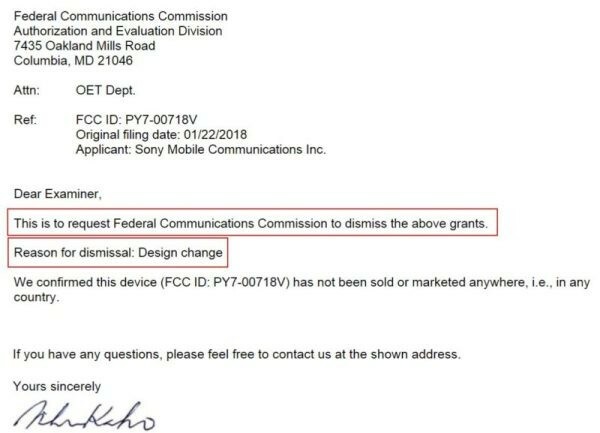 It appears at one point, Sony requested a cancellation for the ongoing certification, because of a cited change in the design. That happened shortly before MWC 2018 kicked off, hinting that the device missed on the Barcelona expo due to some last minute change. Still, looking at the same PY7-00718V document collection today (linked in the source) reveals some new activity - likely a sign of ongoing development on Sony's part. The other bit of the story comes in the shape of UAProfs (User Agent Profiles). As most of you probably know, these are essentially machine-friendly descriptions of devices, that often surface prior to actual device announcements and offer some tech info, like display resolution. 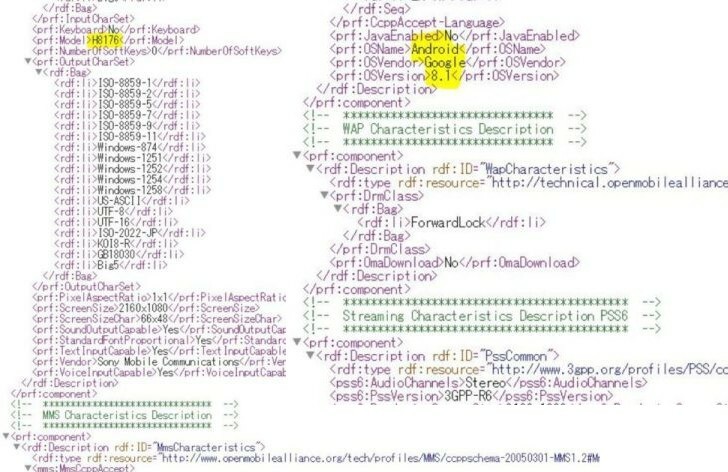 Well, going back a month or so ago, when people were digging around for the new Xperia devices, three model designations were unearthed in UAProf - H82XX, H83XX and H81XX. The Xperia XZ2 we have at the office reports H8266, while the XZ2 compact is H8324. So, that only leaves the H81XX pattern and as luck would have it, a new UAProf was recently leaked, describing a H8176 device. In it, two really essential pieces of information: Android 8.1 and a native resolution of 4320 x 2160 pixels. It seems like the only question that remains is when will Sony unveil the new device. Are you excited about a potential new Xperia flagship with a 4K display? This devices look luke Nokia.